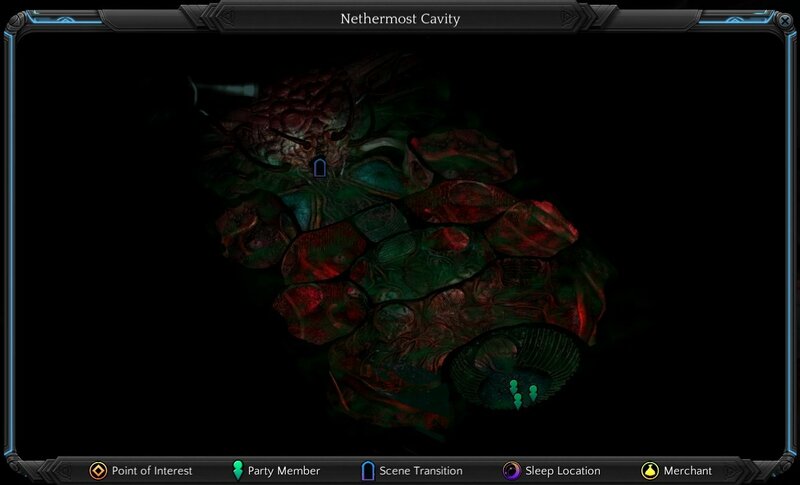 Nethermost Cavity is a location in Torment: Tides of Numenera. This could be your most diffcultist fight, or easist, depend on your strategy. Bloom will keep summoning small Maws to stop you, there is no point waste time on them. Every time you strike one down, another will be summoned. On the 2-3 turn Bloom will transport some Bloom cultist including Inkpot to stop you.